This chili is made with shredded chicken, peppers and spicy pepper jack cheese. It’s not as thick as traditional chili, but it’s loaded with flavor…and I promise you it’s filling They taste like a wheat roll to me, and can be made in less than 15 minutes while the chili cooks. 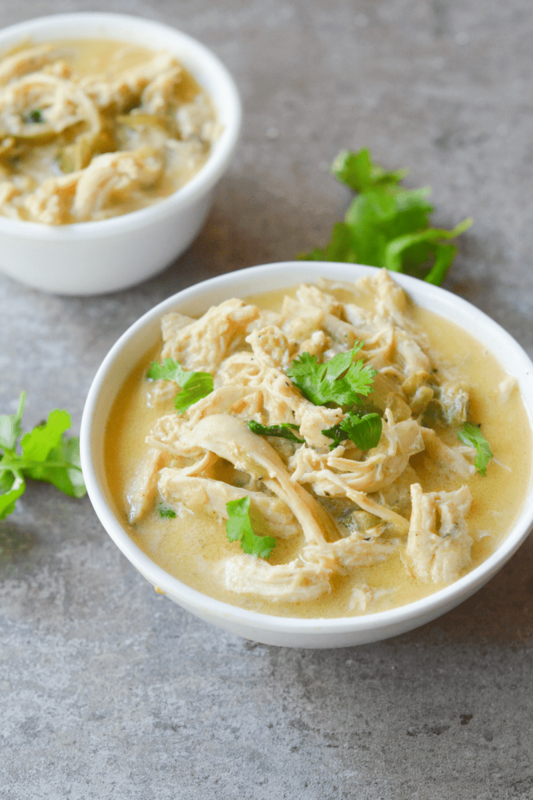 To make in the crockpot just add all the ingredients except the heavy cream and cook for 4 hours on low, shred the chicken, return to the crock pot and stir in the heavy cream.